Submersible well pumps can extract water from hundreds of feet below the ground. 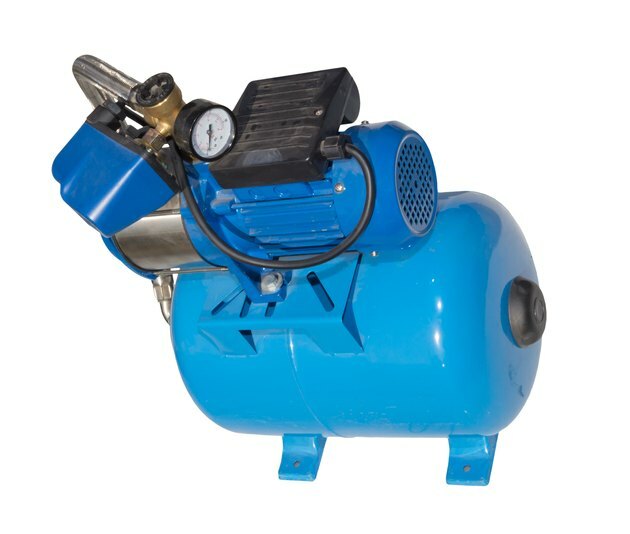 Available in a wide range of materials and sizes, a deep well pump is a common preference in many households. Some of its significant advantages come from lower monthly costs and ease of accessibility. However, well pumps are also subjected to maintenance problems, such as low water pressure, or you may experience well pump pressure switch troubleshooting issues. Whatever the case may be, testing for a bad well pump is the only way to identify the cause for concern and take action. Running out of water, increased energy bill expenses, odd sounds coming from the motor or low water pressure are all indicators that something isn't working correctly. Various problems could be causing these issues; for example, either a water problem coming from inside the home or technological errors in the other components of the well pump system. In the latter case, the two most common solutions are replacing the pressure tank or changing the pressure switch. If there's no water pressure from the well, make sure you check the pressure gauge range and the electrical box to see if the switch is tripped. Dirty water is a sign of concern. One of the easiest ways to figure out if you have water sediment issues in your well pump system is to check the water quality. When you have very low pressure in the faucets, this could be a sign of water sediment in the pump's bearings or a leaking pressure tank. Dirt or small stones can get stuck in the pump system and cause gradual damage to the pump bearings as well as other components. The pressure switch is responsible for most deep well pump issues. Before beginning any well pump pressure switch troubleshooting, the first thing you have to do is turn off the breaker in your electrical box. After removing the cover off the pressure switch, look for signs of pitting or burning on the contacts. If the damage is severe, you need to replace the entire pressure switch. In case you only notice a shiny metal surface on the contacts, use sandpaper or an emery cloth to clean them properly. Finally, make sure the pressure nut is adjusted according to the manufacturer's manual and use a wrench to set the correct range.